Our condo at Maravilla was a hitclean, comfortable and close to the beach. Well be back soon. Talk to you later this summer. HI Jeanne, we just arrived home after a “full pull” back to Little Rock today. I realize you are managing many properties and reservations, thus just to remind you, we are in Maravilla 3408 and it was fantastic. Thanks again for the extra effort you had to put in (and patience), in helping us secure our vacation. When I walked into Maravilla 2110, I fell in love. The condo was in a great location, it was near the pool and the beach. I will definitely be returning. To whomever this condo belongs to, thanks for sharing your home with me. Thanks! We had a great time. Condo was in a good location. Thanks for all your help. I did get the internet working. It was my wife's computer setting and not the router. I will call you next time we go back to Destin. Awesome complex/condo! Visited during Spring Break with our teen daughters. Perfect accommodations and well-equipped with everything you will need to enjoy an amazing beach vacation. Complimentary beach chairs/umbrella was a huge plus. We all enjoyed biking the beach front bike trail. Wonderful restaurants within walking distance and shopping nearby. We will certainly visit again. Highly recommend and thank the owners for providing the perfect beach getaway! This unit is close to everything! The beach there is awesome. Walking distance to great restaurants. Our kids slept great in the bunk beds. Nice balcony too. Peaceful and quiet. There is a nice pool and hot tub with bbq grills just outside your door. 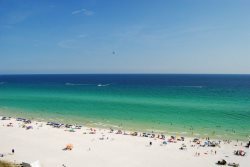 i just had to drop you a quick note to let you know the wonderful time we had in Destin Florida at the Maravilla 2113. The location was perfect near the pool and beach. i watched the sun come up every morning by our beautiful view. Our poodles were very good and we met so many friends at the dog walk. Thank you again for all your help. Hope to do this again. Thank you! Hi, Jeanne. Our condo at Maravilla was a hit...clean, comfortable, and close to the beach. It's been a week since we left Maravilla and we're still homesick for the place. Great condo and location. Likely return after school starts and the crowds subside; will call once I know when. Talk with you later this summer, Jeanne. Our stay at Ciboney 4009 was quite enjoyable and will definitely use Coastline Condos in the future. The sand at this beach is spectacular! Just wanted to let you know we had a great time and really liked your condo. It had everything we needed and the location was perfect. We will certainly keep you in mind for next year. For information/quotes regarding 2019 winter rentals, please email to [email protected] Winter rentals can be booked online. Most of our properties are pet-friendly for small dogs. We have a few properties available for 2019 Jan/Feb. Call us today at 423-899-3003 or email to inquire or enter your dates on the website, and click availability. You can book online from there.